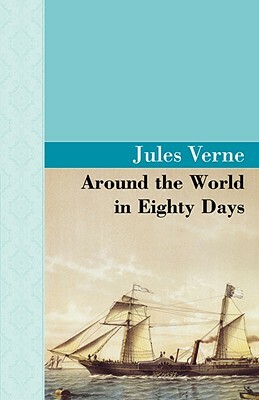 Around the World in 80 Days, by Jules Verne - Akasha Classics, AkashaPublishing.Com - Mr. Phileas Fogg lived, in 1872, at No. 7, Saville Row, Burlington Gardens, the house in which Sheridan died in 1814. He was one of the most noticeable members of the Reform Club, though he seemed always to avoid attracting attention; an enigmatical personage, about whom little was known, except that he was a polished man of the world. People said that he resembled Byron-at least that his head was Byronic; but he was a bearded, tranquil Byron, who might live on a thousand years without growing old. Certainly an Englishman, it was more doubtful whether Phileas Fogg was a Londoner. He was never seen on 'Change, nor at the Bank, nor in the counting-rooms of the "City"; no ships ever came into London docks of which he was the owner; he had no public employment; he had never been entered at any of the Inns of Court, either at the Temple, or Lincoln's Inn, or Gray's Inn; nor had his voice ever resounded in the Court of Chancery, or in the Exchequer, or the Queen's Bench, or the Ecclesiastical Courts. He certainly was not a manufacturer; nor was he a merchant or a gentleman farmer. His name was strange to the scientific and learned societies, and he never was known to take part in the sage deliberations of the Royal Institution or the London Institution, the Artisan's Association, or the Institution of Arts and Sciences. He belonged, in fact, to none of the numerous societies which swarm in the English capital, from the Harmonic to that of the Entomologists, founded mainly for the purpose of abolishing pernicious insects.